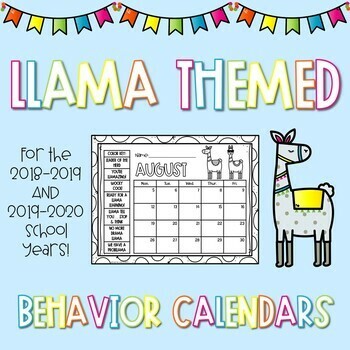 For all you llama lovers out there, get ready! 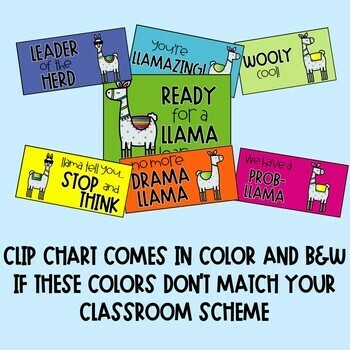 A llama themed Clip Chart and matching Behavior Calendar is headed your way. 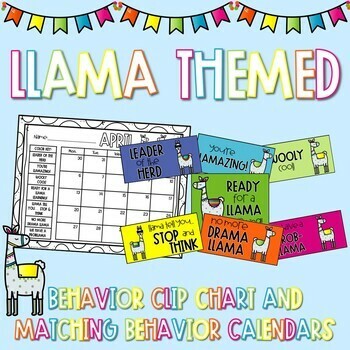 Matching Llama Behavior Calendar for the 2018-2019 AND 2019-2020 school years. Students can track their clips daily and you can decide what rewards students can earn. Need other seasonal behavior management ideas? Check out this December Bundle!